I believe the interview starts around the halfway mark. "They abduct children, burn down houses and kill people. Many people are fleeing into the towns. In my diocese, there are many internal refugees." This is how a local Catholic leader described rebel attacks in South Sudan. 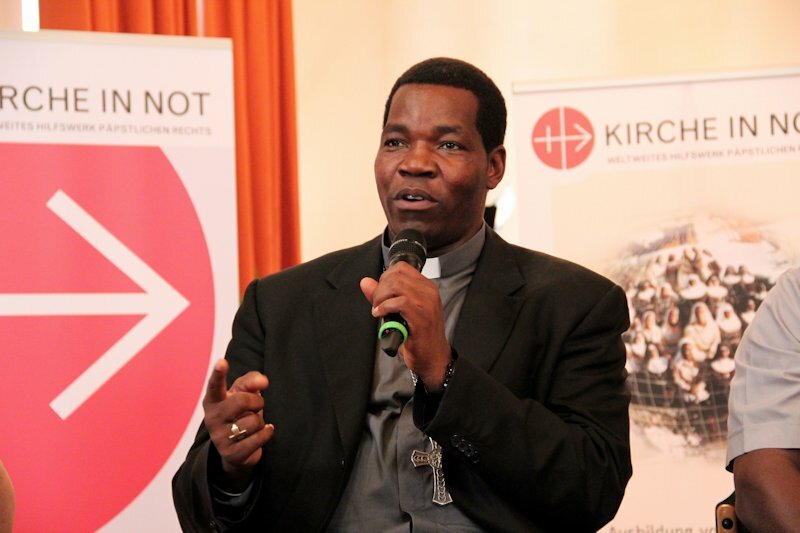 Edward Hiiboro Kussala, Bishop of the South Sudanese Diocese of Tambura-Yambio, made his statement when speaking to the international Catholic pastoral charity Aid to the Church in Need (ACN). 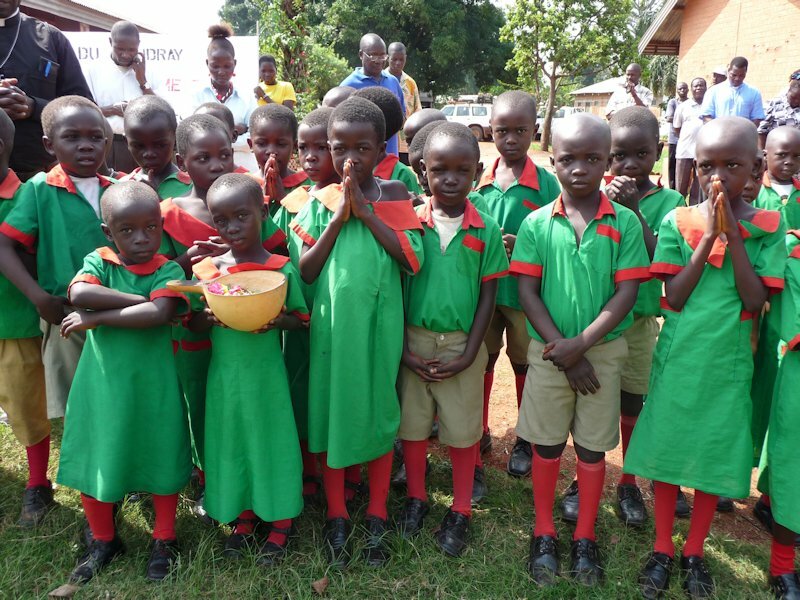 In his diocese, which is located in the border region, the population is being attacked by rebels based in Uganda and the Democratic Republic of Congo, especially the Lord’s Resistance Army (LRA). The LRA, which was established in Uganda in1987 under the leadership of Joseph Kony and has since largely been driven out of Uganda, operates today primarily in the border areas of South Sudan, the Democratic Republic of Congo and the Central African Republic. To improve the security situation in the region soldiers of the Ugandan and South Sudanese armies, the American contingent and the African Union Force had been stationed there, Kussala said. "This military presence is not a solution,” he continued. “What's more, the international community lacks the will to arrest the leader of the Lord’s Resistance Army, Joseph Kony." "The politicians believe in the military, but all these efforts have been to no avail." He called on politicians to do more to start a peace dialogue. The bishop described how the Church had an important role to play in the peace process because it was educating people in peace and reconciliation and was a "lobby" for peace, often acting through diplomatic channels to further the cause of peace. South Sudan, the majority of whose population adhere primarily to Christian and animist religions, became independent from the mainly Islamic northern part of the country on July 9, 2011. Between 1983 and 2005 a bloody civil war had raged, claiming more than 2 million human lives and making many millions of people homeless. The following is from the Pieta prayer booklet. the third, the Brown Scapular of Our Lady of Mt. Carmel. "Wear it devoutly and perseveringly,', she says to each soul, 'It is my garment. To be clothed in it means yo are continually thinking of me, and I in turn, am always thinking of you and helping you to secure eternal life.'" The following is from a little pamphlet I received when I received the Brown Scapulars made by the Sister of Carmel, a Carmelite order that make high quality woolen Brown Scapulars by hand. 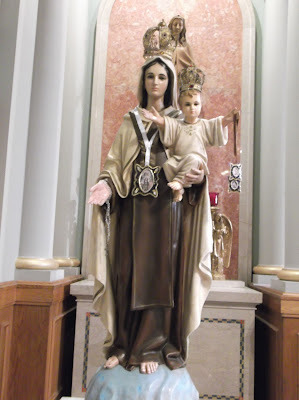 Without saying to Mary that we venerate her, love her, and trust in her protection, we tell her these things every moment of the day by simply wearing the Scapular. As Our Lord taught us to say the Our Father, Our Blessed Mother taught us the value of the Scapular. When we use it as a prayer, Our Lady draws us to the Sacred Heart of Her Divine Son. It is good, therefore to hold the scapular in the hand. Our Lady's Motherhood is not limited to Catholics: it is extended to all men. Many miracles of conversion have been wrought in favor of good non-Catholics who have been induced to practice the Scapular devotion. Pope Benedict XV granted an indulgence of 500 days EACH TIME the Scapular is kissed. NOTE: nowadays we earn partial indulgence.